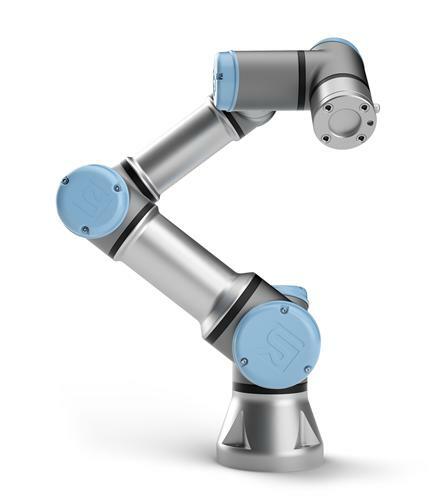 Compact & easy-to-program cobots for various applications, can be used w/o safety fence. 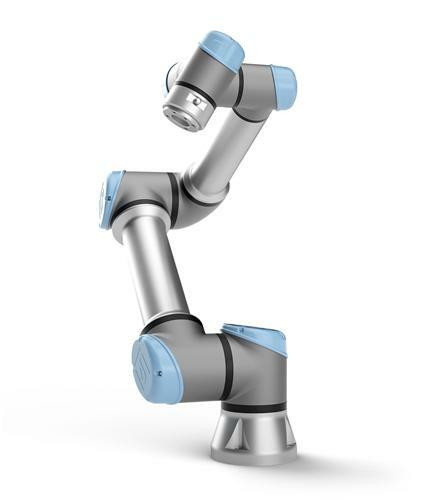 Universal Robots, the world cobots' leader, introduces the new product, e-Series. Improved sensitivity with built-in force / torque sensor, enhances safety and improves the operability of teach pendant. "UR+", the certified end effector ecosystem and "UR Academy", free program training are shown. Small but powerful, the UR3e has a payload of 3 kg and reach radius of 500 mm. 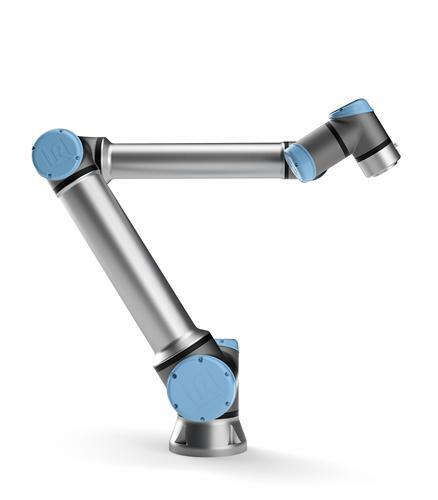 With 360-degree rotation on all wrist joints and infinite rotation on the end joint, this table-top cobot handles high precision tasks and light assembly tasks with ease. The medium-sized member of the Universal Robots family is ideal for automating lowweight processing tasks with its 5 kg payload and 850 mm reach radius. Easy to program and fast to set up, the UR5e strikes the perfect balance between size and power. With the ability to automate tasks up to 10 kg with no compromise on precision, the UR10e is the family's most powerfule robot. A reach radius of 1300 mm also enables it to carry out tasks like packaging and palletizing in facilities where there is a larger distance between different operating areas.